It’s almost time for Atlanta’s favorite street festival, and the one widely regarded as our city’s most spirited and eclectic – the 48th annual Inman Park Spring Festival and Tour Of Homes! This year’s festivities take place on Saturday April 27 & Sunday April 28 with a Tour of Homes preview on Friday April 26. The Tour of Homes is a self-conducted tour of some of the most beautiful homes in Inman Park. You’ll have the opportunity to see inside some of the glorious old Victorian homes in the neighborhood, along with some amazing modern remodeling jobs neighbors have completed on their houses. The Festival began in the early 1970s as an effort to revitalize one Atlanta’s oldest and most scenic neighborhoods. In addition to the Tour of Homes, the Inman Park Spring Festival offers something for everybody – live music, kids activities, a marvelous street parade, classic and contemporary dance festival, and an artists’ market featuring over 250 vendors’ booths. 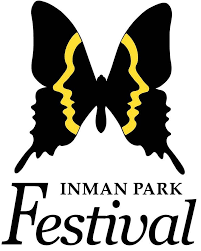 More information and a full schedule of events can be found on the Inman Park Spring Festival event page. Where: The festival takes place all through the streets of Inman Park, with ticket offices located at the intersection of Elizabeth Street and Euclid Avenue. You will love the Victorian mansions, restored 1950s bungalows, modern condos and plentiful greenspace of Inman Park. Check out our Inman Park listings here!